Capt. 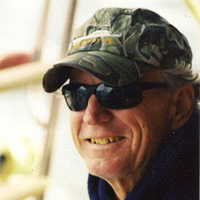 Gary Stuve is a third-generation waterman who worked his way up the ranks to excel in sport fishing. He scored five Cat Cay Tuna Tournament wins and a one-day catch-and-release of 73 bluefin tuna off Cape Hatteras, North Carolina. His deep concern for the species has propelled him to work closely with Tag-a-Giant.